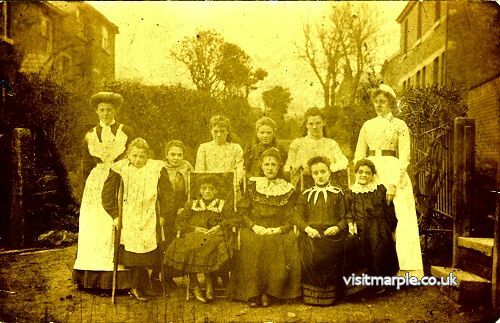 A holiday home for crippled children was started in a cottage on Cross Lane in 1907, which led to the building of the Children's Orthopaedic Hospital in Dale Road. But this postcard is dated 1905 on the back! From Marple Local History Society Archives.